When you log into your web-based Intermedia services today, you’re going to notice a banner announcing something new and exciting. I encourage you to click the button. Our design and UX teams have been hard at work improving the login experience for both users and admins. We’re launching it in preview mode today with great excitement and pride. 1.One login for user services. 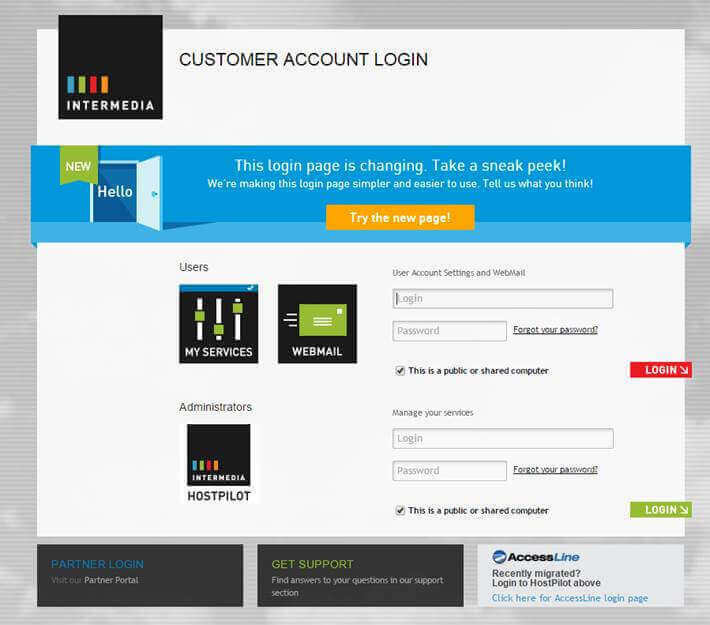 Now users can access their key Intermedia applications—webmail, My Services, SecuriSync, and AppID—from a single entry point. 2. A clearer path for admins. 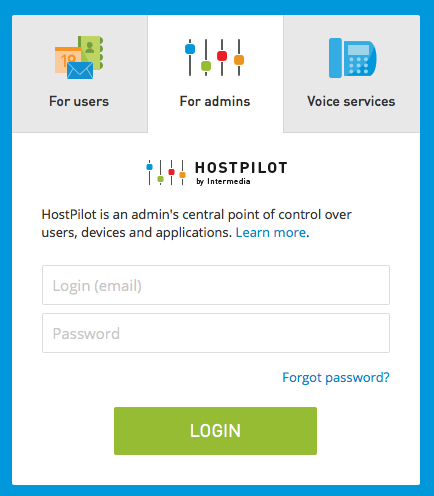 Admins will see that’s much more obvious where to log in to the control panel. 3. Integration for voice customers as well. 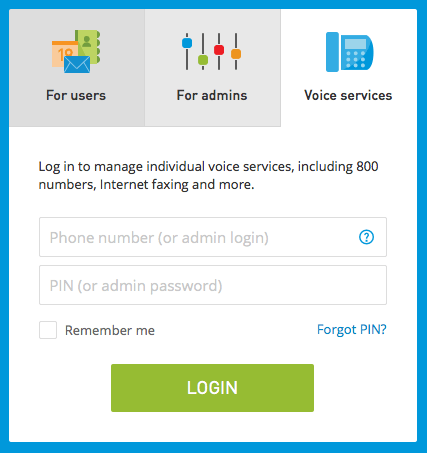 In the past, our voice customers had to click to a separate login page. Not any more! 4. Improved mobile access. 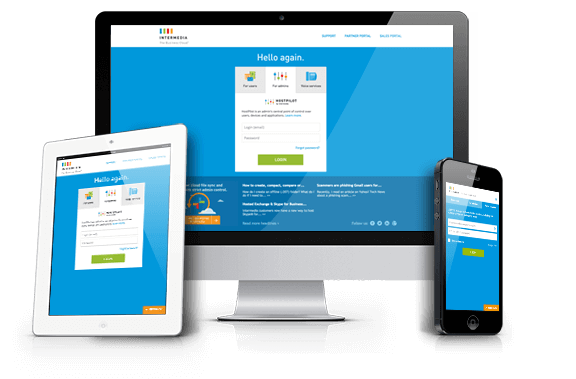 The new login page adapts itself to any device, so it’s much easier to log into webmail or SecuriSync using your phone or tablet. 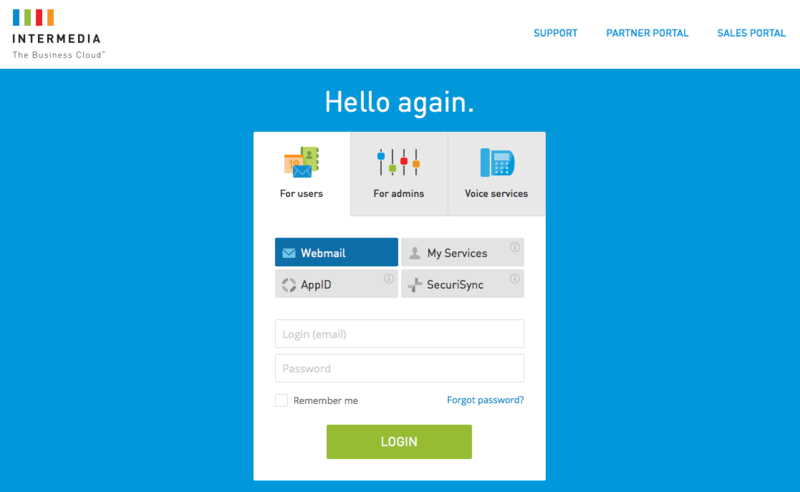 Take our new login page for a test drive. And please click the orange button to send us your feedback! We’ll switch completely over to the new experience soon, and we definitely want to hear what users and admins have to say.